You’ve cleaned out the garage. You’ve prepped your landscaping for summer. You’ve even washed your windows. But, did you remember one more essential spring cleaning chore? What about your roof? Have you called for roof cleaning service in Chagrin Falls, OH? Many homeowners skip this important step. Here’s a few reasons you shouldn’t. A dirty roof gets devoured. Do you see black streaks on your roof? Are there patches of discoloration? That’s not just leftover winter dirt. Your roof has become the host for myriad lichens, algae and moss. These organisms are attracted to the organic materials in the shingles of your roof. They will eat through them, making their way to the roof deck, where they cause wood rot. To remove these harmful organisms, and save your roof, contact your roof cleaning service in Chagrin Falls, OH. A clean roof increases home value. Not only will your clean roof last longer, it greatly enhances the curb appeal of your home. You’ll be amazed at the difference your roofline can make. Removing the grime from the previous season (or years, if you haven’t done this in a while!) can make a house look new again. If you plan to put your house on the market, or simply want the sharpest home on the block, a clean roof will drive you to the top of the list. Your family’s health is at stake. When the organisms munching on your roof cause wood rot, you and your family suffer. Moisture will enter your home, which leads to mold growth. This is bad news for your family’s health. Allergies, asthma and other health problems can result from exposure to mold. Stop these risks before they start by keeping your roof clean. Schedule regular roof cleaning service in Chagrin, OH to ensure the safety of your home and family. Your personal safety is at stake. Convinced of the importance of roof cleaning, some homeowners take it upon themselves to complete this chore. Homeowners are strongly advised against this. Professional roof cleaners have the proper equipment, training and experience to handle this job. They can complete your roof cleaning quickly and safely. DIY-ers aren’t always as successful. 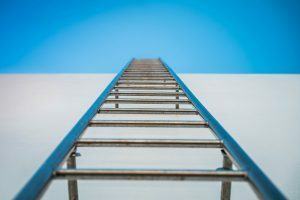 Each year, around 300 deaths in the U.S. are caused by falls from ladders. Falls are listed among the top 10 health threats causing fatal accidents among men. It’s not worth the risk. Let the pros do the job. Some homeowners hesitate to hire a roof cleaning service in Chagrin Falls, OH due to the cost involved. But, cleaning your roof will actually be cheaper in the long run. It will increase the longevity of your roof. Keeping it clear of harmful organisms and improper drainage will extend its life. It may also help you keep your warranty intact. Manufacturers who guarantee their shingles suggest regular cleanings. With potential long-term savings, why not go ahead and get a free estimate today? Take advantage of these benefits of a clean roof. Contact the professionals at Central Window Cleaning for friendly, professional roof cleaning service in Chagrin Falls, OH.